Nestled above the village of Plockton with the Cuillin of Skye as a backdrop 'Off the Rails' at Pockton Station offers a truly unique holiday experience providing all the discerning holidaymaker could be looking for. Built in 1887 on the famous Inverness to Kyle line, Plockton is a working but unmanned station. The station building has been tastefully refurbished preserving wonderful Victorian features and architecture but rewired with all the technology guests have come to expect, such as complimentary wireless broadband, LCD televisions, DVD players and a music system with iPod docking station. The well-equipped and comfortable accommodation has been designed with your comfort in mind to provide affordable indulgence for holidaymakers seeking first-class standards, and will appeal to families, couples, friends and railway enthusiasts alike. 'Off the Rails' is an ideal place to explore some of the most beautiful scenery in Scotland, or while away some time in Plockton, known as the' jewel of the Highlands'. You can relax in the lounge, which was formerly the Station Ticket Office, with its Victorian open hearth fire, or on warmer days sit out on the platform, enjoy the sun and watch the trains go by. 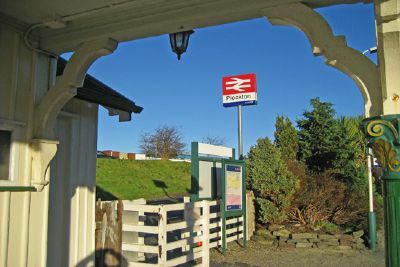 The station is conveniently situated for touring the local area, being just 15 minutes from the Kyle of Lochalsh, gateway to the magical Isle of Skye, or just 20 minutes to Eilean Donan castle at Dornie, one of Scotland's finest castles. Further afield on the mainland is Glenelg with its Iron Age brochs, or just a few miles further on, Sandaig, long time home to Gavin Maxwell, author of 'Ring of Bright Water'. This is a magical area that can be reached by the Mam Ratagan pass or travel via the Skye Bridge and the Skye Ferry from Kylerhea to Glenelg. For the more adventurous there are walks for all abilities, from the challenge of the Five Sisters at Kintail or the majestic Cuillins, or for those less energetic there are gentle lochside walks straight from the front door of the station. A ten minute walk will take you to the heart of the village, where there are two hotels and a restaurant, all of which have won awards for their great food and drink. There is also a takeaway which is open in the summer. 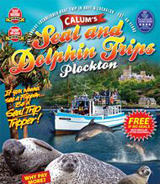 Plockton is a haven for arts and crafts, with many galleries, gift shops, as well as the famous Calum's Seal Trips and boat hire. We look forward to welcoming you to 'Off the Rails' Plockton's newest and most original self-catering accommodation, but where you can step back in time to the great age of the railways.